my friends and i have HUGE dreams. dreams to create, explore, and travel. my best friend becca and I talk about living in paris ALL the time. one day perhaps, dreams will come true, but a taste of that dream came a little sooner than anticipated. when i head that the grand america hotel in salt lake city has a fancy afternoon tea, I was completely obsessed and booked reservations the very next day. there is nothing like paying $24 for an imaginary trip to europe with your best friend, the week before she goes back to nashville to pursue her dream of becoming a country artist, while i stay in utah to pursue my dreams of attaining a college education while becoming miss utah usa. 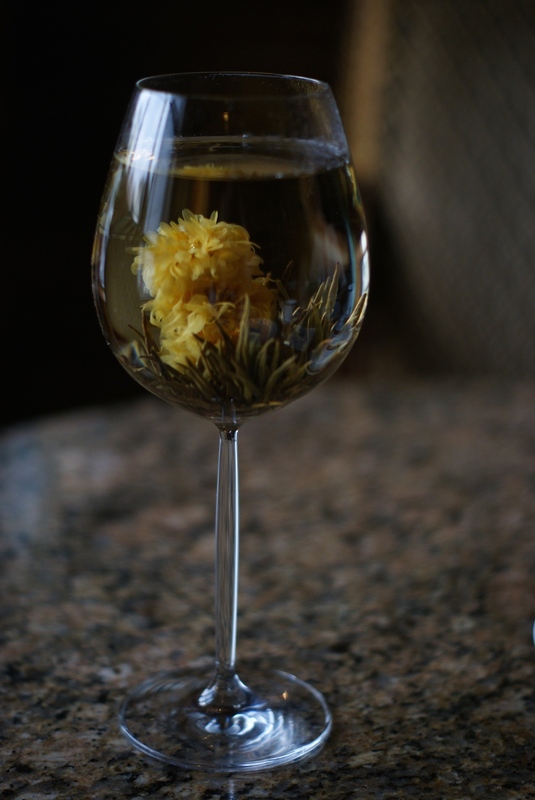 the server poured hot water on a green tea flower, and we watched it bloom before our very eyes. just for decoration, this is a beautiful centerpiece idea. keeping it herbal up in here, but they also had a wide selection of caffeinated tea if that is what you're into, and some DELICIOUS looking hot chocolate. our afternoon was completely enchanted.